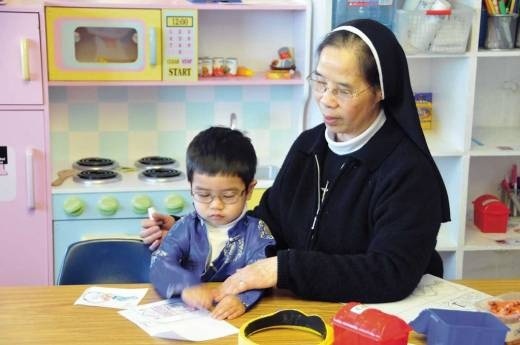 For many years, the sisters operated a daycare in conjunction with Holy Martyrs of Vietnam Parish in Arlington. Now, their attention is focused solely on Busy Bee, which they opened in 1995 as a way to financially support their order. Six sisters work at Busy Bee, taking care of 22 children. The children are separated into two age groups: 2- and 3-year-olds and the 4- and 5-year-olds. Most of the children come from Vietnamese families. Sister Joanna Hoang works as assistant director of the center. 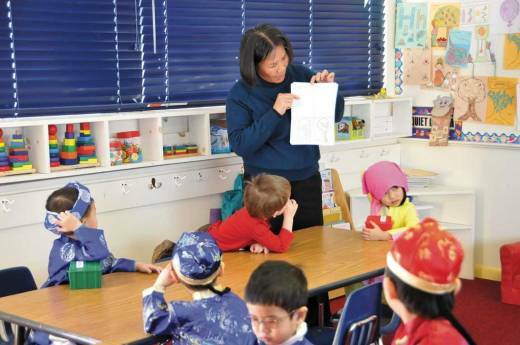 She said the sisters teach children about numbers, letters and days of the week, but they also teach aspects of life that can be hard to find in a traditional daycare. 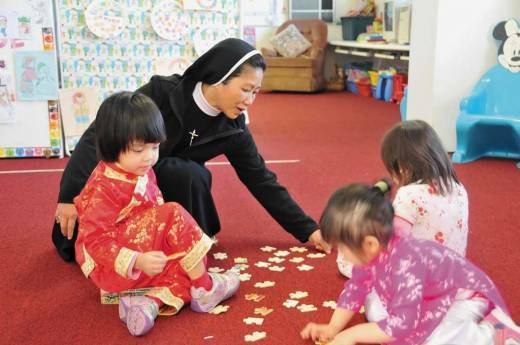 “Because our mission is childhood development, our goal is to have the Vietnamese children learn about the culture of Vietnam in the United States with the Catholic religion and Catholic morals,” Sister Joanna said. Every week, the sisters teach the children about God with prayers, songs and lessons from the catechism or the Bible. Even though the students are young, the sisters believe the lessons they teach can stick with them through their childhood. The sisters also try to maintain Vietnamese cultural traditions. Last week, children dressed in traditional garb and decorated banners in celebration of Tet, the Vietnamese New Year. 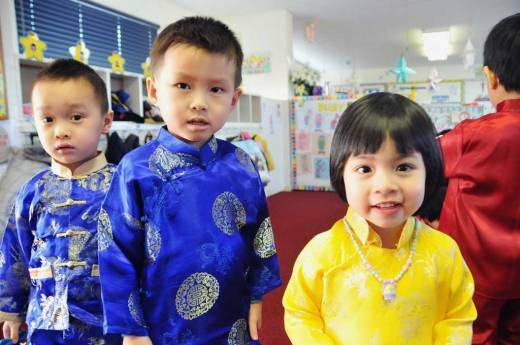 While the center also celebrates American holidays like Independence Day or Memorial Day, the sisters feel it is important for the children to be aware of their own cultural background.